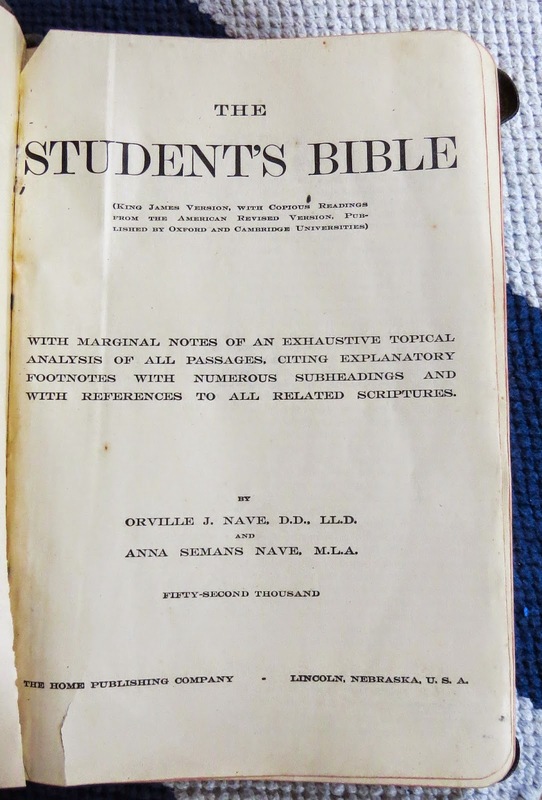 A few years ago I was in a used book shop - I don't remember where now - and I saw a nice old Bible for sale. When I looked through it, there were family events recorded in it and it was an expensive Bible when first purchased. It had a semi-yapp cover, which, for those of you who might not know, means the leather cover overhangs the edge of the Bible pages about a half inch. This was to protect the pages from weather. 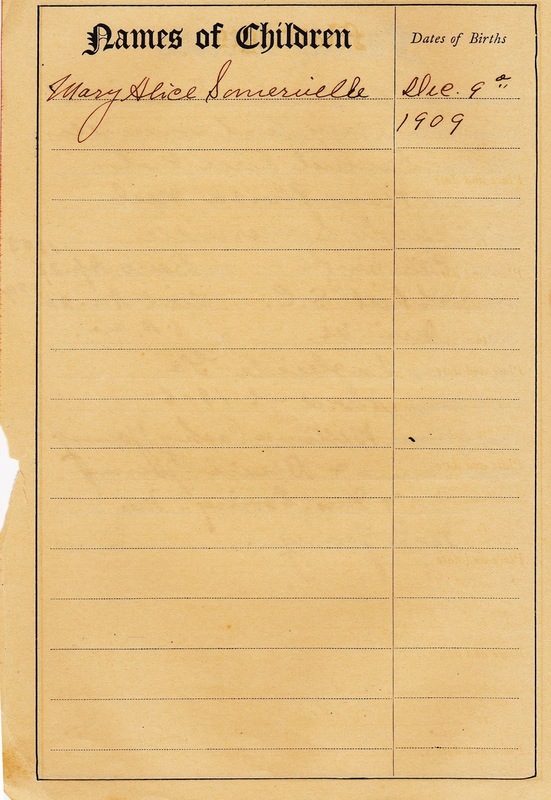 A full yapp overlaps by an inch and forms almost a complete leather cover over the pages. The only thing missing from a full yapp is a zipper to close it completely. So of course I bought the Bible. I love to look up the people recorded inside on Ancestry.com. In this case, Hugh Somerville was one of the founders of Dunedin, Florida in the late 1800's. He and his brother came from Scotland and were influential in the naming of the new town, a bit north of Tampa. I found a reference to the history of Dunedin online that mentions Mr. Somerville. Actually the link is a history of the First Presbyterian Church of Dunedin of which Mr. Somerville was evidently a member. 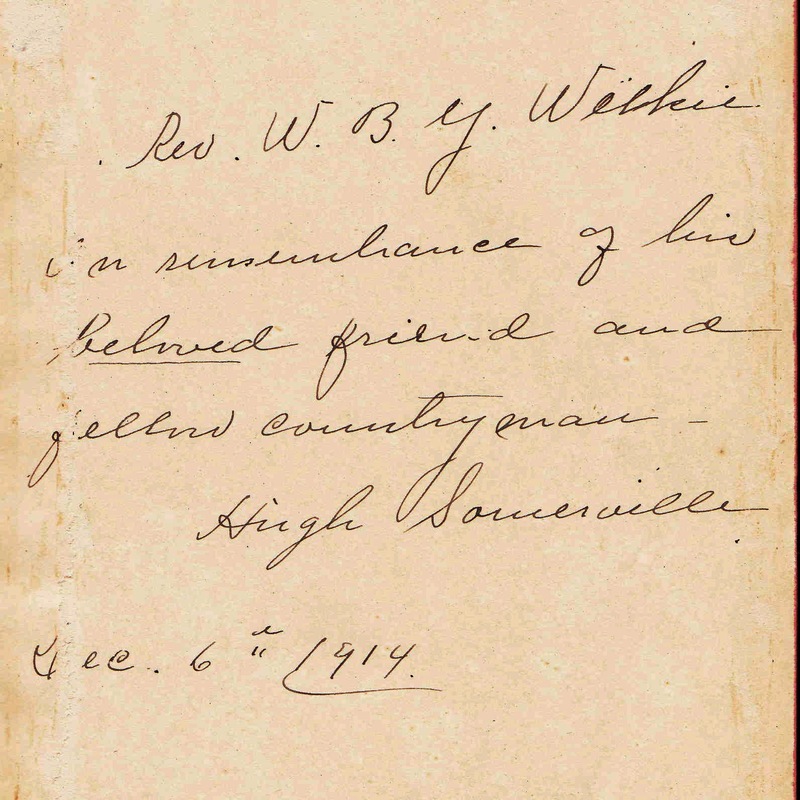 Above is the inscription inside the front cover from Reverend Wilkie, also mentioned in the history of the First Presbyterian Church of Dunedin. 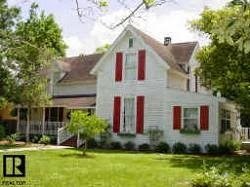 According to the Tuttle history link above the pictures, Hugh was first married to someone named Mary Alice Anderson in 1880. She died in February of 1902. 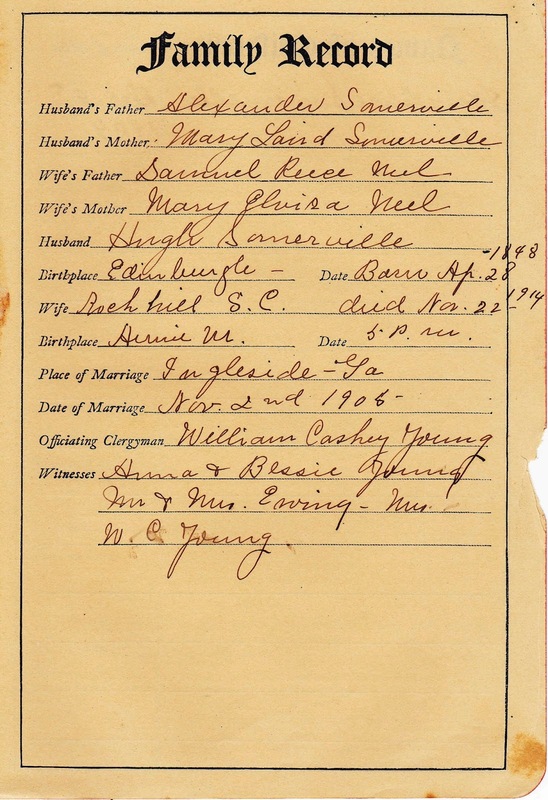 In November 1906 Hugh married again to M.A. (not another Mary Alice surely??) Neel of Davidson, North Carolina. It is her writing that we see on these pages. She had one child, a daughter whom they named Mary Alice. 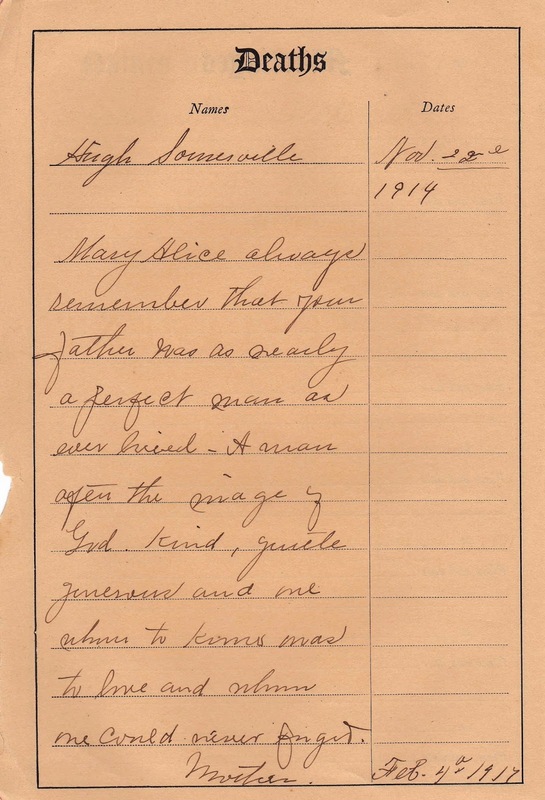 The beautiful note below is addressed to that daughter, asking her to remember her father as a wonderful man. She was born in 1909 and her father died in 1914, which means she was only 5 years old. Old enough to remember him but a painfully short time to have enjoyed his company. 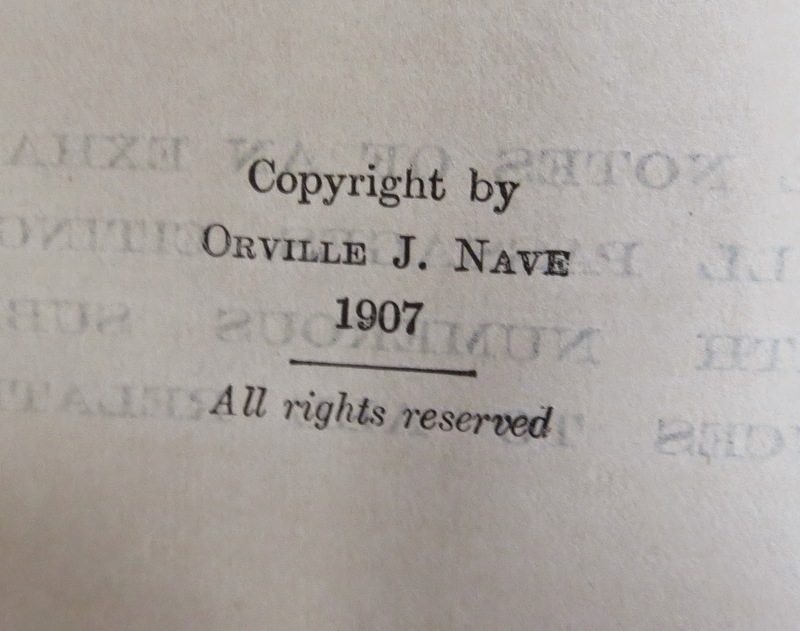 Inside the Bible is also included a photograph that isn't in the best condition. 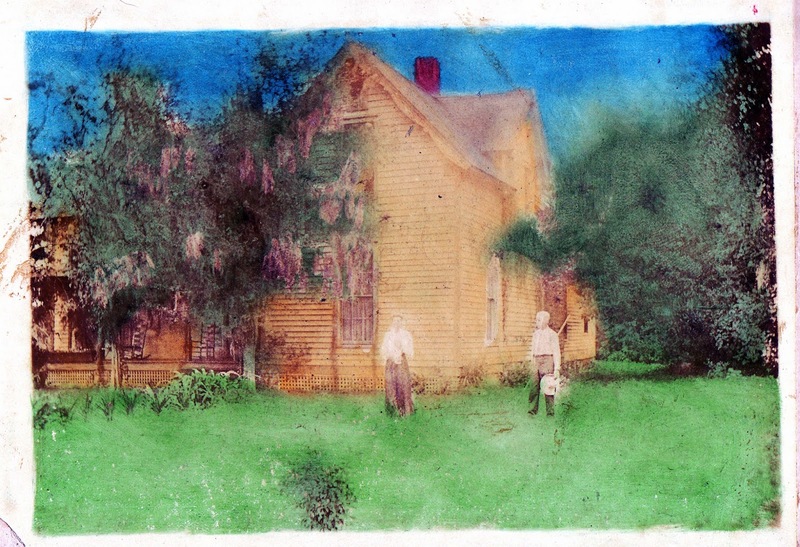 It is colorized - I don't know if it came that way or was done afterward. I'm assuming the woman is M.A. Neel Somerville and the man is Hugh Somerville. This house below looks as if it could be the same house today. The only difference is the addition to the first floor. It was for sale a while ago and advertised as a "farm house" from 1898 in Dunedin. The kitchen is huge and lovely. I wish I could see more of it. I think a trip to Dunedin is going to be on my list of summer things to do. We are not far from Dunedin. If you come this way, let me know. I can never understand why families let this kind of thing go. I think Mary Alice - the daughter - passed away in 1991 and that's how the Bible came to be in a used book store. I looked up their info on Ancestry. Mary Alice never married. After Hugh passed away the mother and daughter lived together in Orlando and then Deland. So there were no children to pass the Bible on to. Wonderful article. Do you still have the bible? The Dunedin Historical Museum would be very interested in acquiring it from you. Yes I do. I'm sorry to have taken so long to answer but we just moved from South Florida to Boise, Idaho and I'm still unpacking boxes. We just found the Bible a couple of days ago. Please let me know what you would like to do. We would love to purchase it from you. We are in the middle of a huge renovation and this piece would make a beautiful centerpiece in an exhibit on Dunedin's early residents. We have next to nothing in our collection from the Somerville family and this would be a wildly important addition to the city's history. Please communicate through my email - susan.humeston@gmail.com so that we can give more information.